In the year 1993 the whole Orthodox world was shocked by a tragic event, which had happened in Optina Hermitage: three inhabitants of the monastery were brutely murdered on Easter night. 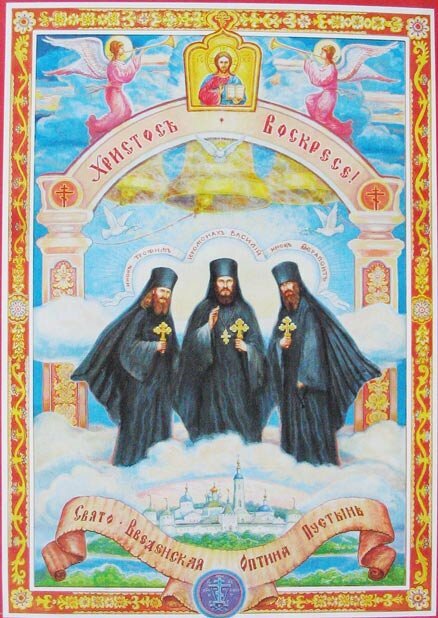 They were hieromonk Vasily (Roslyakov), monk Ferapont (Pushkarev) and monk Trophim (Tatarinov). 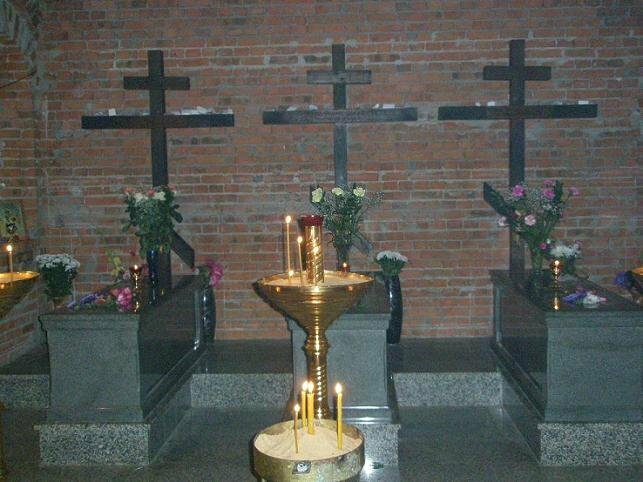 The Easter service in Optina began as usual. According to the existing tradition, the religious procession to the skete of St. John the Baptist,which is situated to the east of the Monastery, and back was coming to an end. The festive Easter peal was heard coming from monastery and skete belfries. The number of people was enormous—up to 10 thousand people (as the militia later reported, which were guarding the Monastery during the festive service,). After the Liturgy the monks went to the refectory to break the fast. 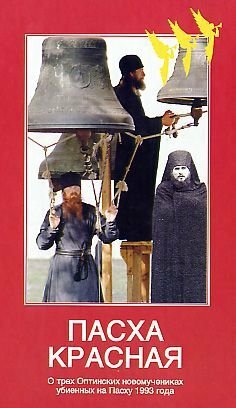 After completing the meal, two of the bell-ringers, monk Ferapont and monk Trophim, returned to the belfry to continue the Easter peal. By then it was ten past six. Suddenly the bell ringing became uneven and then stopped completely. A terrible crime was committed on the belfry—the monks were villainously killed with stabs from a knife. Monk Ferapont expired at once. After the stabbing Monk Trophim uttered a loud shriek: “God, have mercy upon us!” and “Help! ; having risen a bit, he rang the bell—and fell down. 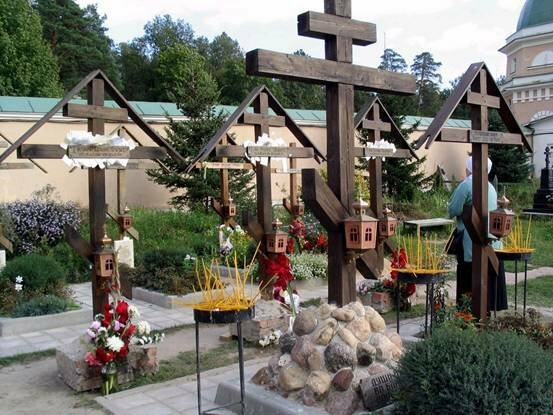 The murderer ran away to the skete, where hieromonk Vasily was also going in order to hear confessions. The criminal stabbed him in the back with the same knife. Then the murderer climbed over the monastery wall and threw away a blood-stained self-made knife. It was double-edged, five centimeters wide, and resembled a sword. It was engraved on its blade with “ 666” and “satan”. The same inscription was found later on a knife in the pocket of a greatcoat that was abandoned by the murderer. The murderer Nikolay Averin inflicted knife wounds to the back. According to the investigator, the injuries were inflicted with unusual professionalism “and deliberately—they were not too deep—to make the victim bleed to death over a long time”. 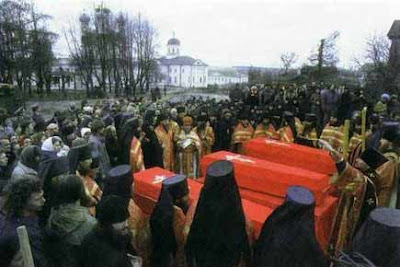 In fact, hieromonk Vasily suffered for several hours, though monks Trophim and Ferapont died immediately. Averin killed monks Ferapont and Trophim while they were announcing to the world on the belfry the Resurrection of Christ. 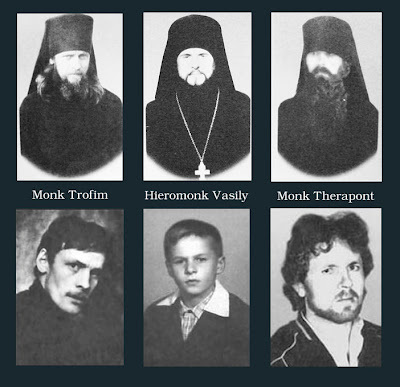 And hieromonk Vasily was killed when he was going to the skete to hear confessions. Having committed the murder, Averin slipped the edge of the monks’ robes to their heads and pulled their klobuks over their faces. It seemed that there was still life in monk Trophim. He was brought to Vvedensky Cathedral, but a few minutes later he passed away. In spite of a terrible wound, Hieromonk Vasily lived longer than the others. He looked at the people surrounding him and even tried to rise. 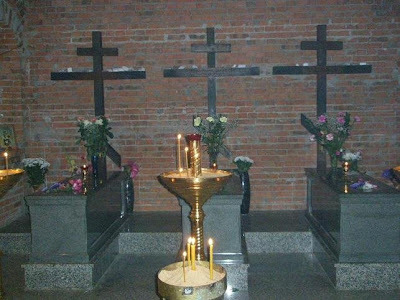 He was also brought to the Cathedral and was put next to the relics of St. Elder Ambrose, and then he was taken by ambulance to the local hospital in Kozelsk. There he soon passed away. It was also surprising that the monks began to give away their possessions before their murder, including their personal tools, saying they would not need them any more (which was all the more unusual at the time when there was such a lack of tools in the monastery that one had to bring them from home or get them somehow through friends, otherwise one could not do his work). Everyone in Optina monastery was surprised by this occurance, but after the murder it became clear: the monks had foreseen the glory of martyrdom prepared for them. To understand why the monks were ready to die, it is necessary to know what kind of life they lived. 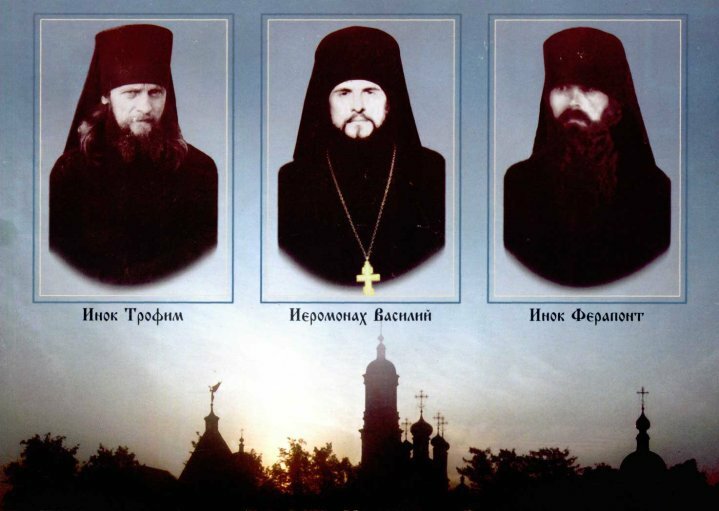 For more than ten years people in Optina monastery have been collecting information about monks Trofim, Ferapont and Vasily.